As Product Manager, prioritizing feature requests from customers, prospective customers, and internal users is a big part of the job. And while it’s easy to justify a high priority for something that’s a clear benefit to our customers, it’s often harder to justify functionality that is seen as less-than-customer-friendly. 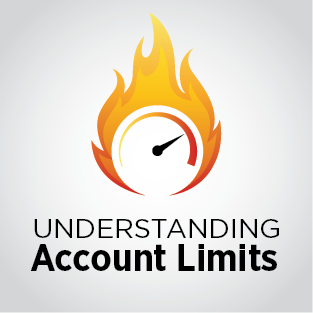 In this post, I’d like to explain account limits. (You can see yours in the Usage Report). Free Account Limit: Free accounts are meant to get things going, test, experiment, and help small senders ramp up. Once you’re at 10,000 messages a month, you’re a serious sender, with a real audience. It’s time to invest in your email program and the deliverability benefits that come with using an experienced, commercial sender, and move up to the Bronze Messaging Tier. Paid plans have an overage option so your mail won’t just suddenly stop if you go over. Daily Limits: If you log in and take a look at your Usage Report, you will see your daily limits. These are based on your plan, and your sending reputation with us. The reason they exist is to protect the overall SparkPost sending community. Inbox providers – Yahoo, Gmail, Hotmail, AOL, Comcast, etc. — look at each individual sender’s reputation but they also look at us as a group. Specifically they look at the IP addresses we use to send out your email messages. It’s in everyone’s best interest to keep our overall reputation as high as we can in order to ensure good deliverability for all. So as you grow your reputation with us, it’s in everyone’s best interest to allow you to send more. For senders who don’t maintain good practices and have a lower sending reputation, it’s in all of our best interest to have them send less. So now that you know that limits exist, how do you increase yours? It’s a simple answer: maintain good sending practices so your reputation increases and avoid bad practices that gets you in trouble with our Compliance Team, the inbox providers, or blackslists. As your reputation and tenure with us grows, so will your limits. Fore more details, check out our Deliverability series, written by Autumn Tyr-Salvia, our Director of Standards & Best Practices.